Fitbit users aren't the only ones in good shape. Investors are giving the wearable fitness device company a clean bill of health, too. Fitbit priced its initial public offering (IPO) at $20 a share on Wednesday night, up from the expected range of $17 to $19 a share. That means Wall Street thinks Fitbit is worth $4.1 billion. Fitbit will debut on the New York Stock Exchange under the ticker symbol "FIT," starting Thursday morning. 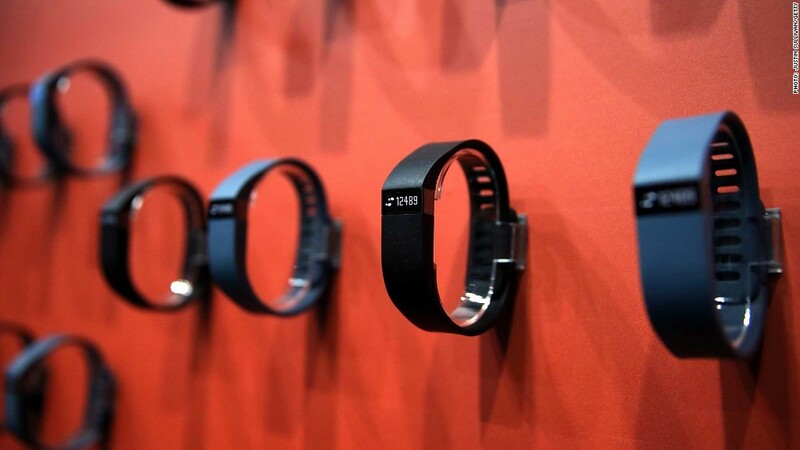 Increasing Popularity: Fitbit has sold over 20.8 million devices, as of the end of March. The popular brand's most famous fan is President Obama, who is a fan of the Fitbit Surge. Other celebrities like Ryan Reynolds and Britney Spears have been spotted sporting the Fitbit Flex. Why are Fitbits so popular? The devices can track all sorts of information, from users' daily steps, calories burned and floors climbed to track heart rate and exercise routes. Premium services include virtual fitness coaching. All Fitbit users can start in-app challenges with friends and family to motivate each other. Currently, the San Francisco-based company sells products in over 45,000 retail stores in more than 50 countries as well as through retailers' websites, their own website and as part of corporate wellness offering. Third-party developers can also create health and fitness apps that interact with Fitbit's platform. The IPO should help the company grow even more. It is expected to raise about $732 million, money the tech company plans to put toward research and development and acquiring other companies. Competitive Edge: The one red flag for Fitbit is competition. The Apple (AAPL) watch is the latest disruption in technology on the wrist. Another competitor, Jawbone, is currently pursuing a lawsuit alleging that Fitbit stole employees and trade secrets and that the company violates Jawbone patents. But these challenges are well known. "[The lawsuit is] already public information, so investor demand should already be reflecting the uncertainty associated with the Jawbone's claim," says Reena Aggarwal, professor of finance at Georgetown University. Whether or not investor buy Fitbit stock, they will be watching to see how it does. Some promising companies like Etsy (ETSY) that did IPOs so far in 2015 have done worse than expected. It bodes well for Fitbit -- and its investors -- that the company is already profitable. Fitibit reported sales of $745 million in 2014 -- an increase of 175% from the prior year. It made a profit of over $130 million last year.